Navigation Lights: Should You Replace Like For Like? When your navigation lights need replacing do you just call up a supplier and order an identical replacement? While your old system may have served you well, advances in technology mean that there may be better alternatives available now. 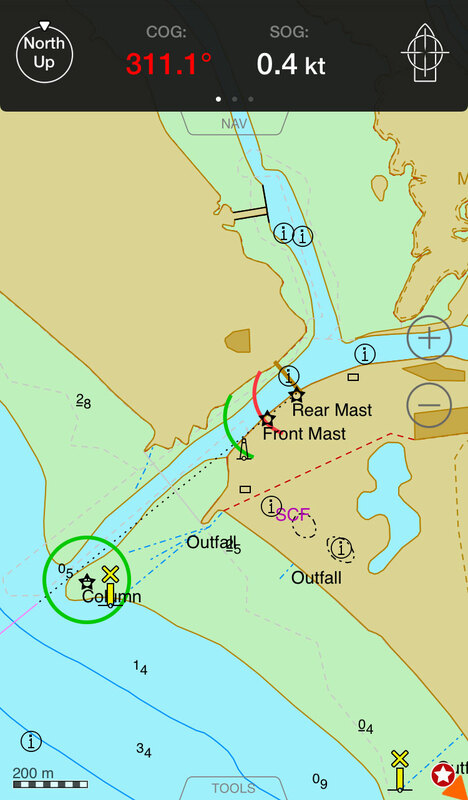 Recently I visited a small harbour in Scotland for a cup of tea and a chat with the Harbour Master about his navigation woes. The harbour features a tricky turn around a corner, where a boat can be easily – and frequently is – pushed to one side or the other. Up until now it was assumed that the standard two navigation lights were the only options for this entrance, and that local knowledge was really the only safe way of navigating into the harbour. Local knowledge is all very well for a significant percentage of boat traffic, but of course most harbours around the UK also have their fair share of visitors who don’t know about those tips and tricks the locals do. The good news is that over the last decade or so there have been significant advances in navigation aids that can solve long-standing problems. In the case of the aforementioned harbour a simple LED projector light provides a simple solution. By projecting a navigation light into the centre of the channel, those navigation woes the Harbour Master had are now a thing of the past. Furthermore this solution is not as costly as you may think. LED lights are very cost effective: cheap to run and long lasting. New navigation light systems can also offer cost savings when other harbour improvements are too expensive. For example, the expensive of replacing a collapsed pile at another Scottish harbour was unjustifiable, especially as this harbour is disused. However, a safe channel still needs to be marked so a workaround was found involving synchronised navigation lights down the side of the channel and a LED projector light in the centre. All for a fraction of the cost of replacing the pile, and offering improvements to the navigation system at the same time. How Much Does It Cost To Run Your Navigation Lights? Even when a harbour offers no significant navigation challenges, replacing like-for-like should not be your default solution. I would highly recommend doing a little research into advances in navigation lights as there are long term savings to be had by using new technology. As well as offering innovation solutions for navigation problems, updating your navigation lights could also reduce running and maintenance costs. LED bulbs use a fraction of the energy required by incandescent bulbs, and last longer. Solar panels also offer savings over time, and when combined with LEDs are highly energy efficient. 20 years ago, before solar panels were a feasible addition to a navigation light, a 2 mile light could potential cost you £1000 a year to run. Now running costs could be as little as £50 p/a with a combination of solar and battery, a great long term investment. So before you reach for the phone and request a ‘like-for-like’ replacement when your navigation lights require replacing, why not use the opportunity to investigate whether there is better solution for your harbour or port?